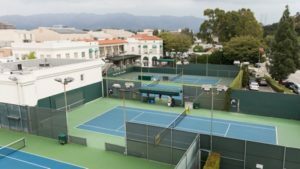 Toluca Lake Chamber of Commerce – Advocates for Business Partnering with the Community! Support Toluca Lake's local merchants. Visit our Business Directory. Nestled against the northern base of the Hollywood Hills, the community of Toluca Lake is an oasis of charm and civility in the midst of the bustling metropolis of Los Angeles. Rich in history, Toluca Lake (or ‘the Village’ to the locals) is an area like no other, featuring an inviting and picturesque walking quarter flanked by three major film studios. Read more…. 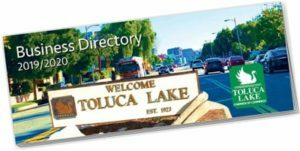 The Chamber of Commerce is happy to announce that the Toluca Lake Business Directory is now available at businesses throughout Toluca Lake. Residences in Toluca Lake should soon be receiving an individual copy of the directlry. If you don't see it, please ask for it. The first Friday of each month. 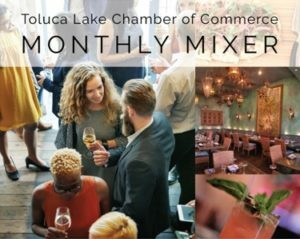 The May mixer will be Friday, May 3rd 6:00 pm - 7:00 pm at Pergolina, 10139 Riverside Drive, Toluca Lake. Bring a friend. 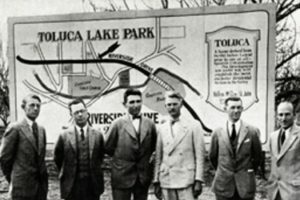 The Toluca Lake Chamber of Commerce was formed in 1939 to preserve and enhance the competitive economic climate of the Toluca Lake Community. The Chamber does this by undertaking positive programs to strengthen and educate our business and residential communities in matters that directly impact the growth and development of the community, promoting and assisting businesses by encouraging patronage, expanding relationships and performing charitable acts.